When you first see a movie preview, it's usually months before the actual movie come out. Sometimes it's hard to keep track of what movies you really want to watch. 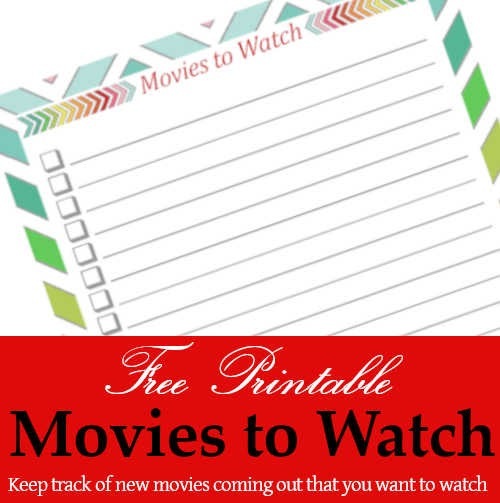 This printable can solve that problem by keeping track of all the movies on your must-watch list. Join my e-mail list to keep up to date with all new posts and printables, or follow me on Facebook, Pinterest or Twitter. 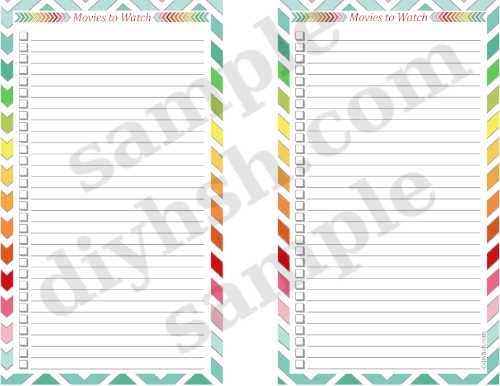 Don't forget, you can view all of my free organizing printables on my Organizing Printables page. Please feel free to leave any suggestions for more printables in the comments below. Click on the link below the photo to view and print your free daily calendar page. Brilliant Tips For Organizing Your Closet.